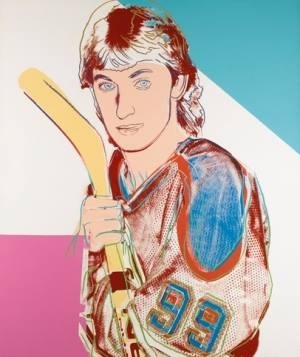 Who knew that “The Great One” had a painting made of him by Andy Warhol? Well if you have the big bucks it is going up for auction. Welcome To Wayne Gretzky and NHL news, stories & opinion. So if you were searching for Wayne Gretzky & Hockey talk in general, you came to the right place!! We are early stages of really loading up this site with content of all sorts. In the meantime please look at the RSS feed content here on the right side of the page for West Coast Hockey, Hockey news from Canada & Toronto Maple Leaf news. The feeds may change at times but they will always have fresh news from great resources.